Ability to print reports to a PDF. The Print View sends the report to Excel for printing but if there is a chart on the report, it does not get sent. Hi all, after connecting with the Product Manager, the latest update is that this is on our long-term roadmap. Mr. Claudio left Salesforce in 2017, that "long-term" roadmap is now likely an empty promise. We shouldn't have to ask for this! Considering the last update on this was over 2 years ago, and the "idea" (or rather, basic feature) has been floating around for over 10 years (Yes, a decade), I doubt you'll see this by Summer 2019. Maybe Summer 2035? The person managing this (Claudia Castro) no longer works for Salesforce according to his profile. As such, this is a dead idea. Do we know how to get these things passed along to the appropriate people, so action will be taken? I will note this has been pending for a decade. Yes, 10 years. Super helpful for sharing information with Customers not having access to a Community. Basic functionality which is sorely needed. It is a basic feature, which has been missing since ages. Please include it in your short term roadmap. We really need this. We have an internal customer asking for this for her users. 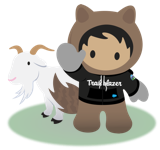 I was just informed of the following: Salesforce says, based on the LOW number of points for the idea to print to PDF, it is not likely to be on the near-term map. Given, everything is relative, & I am not aware of the SF Points or Votes "range" used for prioritization, if 22,780 points is low, it would seem 2,310 Votes is also considered low. Thus, begging the questions: What value is considered High, for Points & Votes? What treshhold is required to actually have an enhancement, or new functionality, implemented? If we're all as dumbfounded as we have sounded for 9 years, it's time to rally your peeps, & get the votes going! Very hard to explain to prospects that this feature is not available and also not have a date when it will be available. This functionality was available for years and I used it quite a bit. It's pretty frustrating that Salesforce would take it away. Quite shocked to hear that this wasnt an option already. Quite unprofessional to deal with Board members and team leaders with a Excel or CSV format report.